OK, folks, I’ve held out long enough. Here it is: the obligatory iPad post. Enjoy it while you can, because I’m going to shut up about the damn things from now until I have one in my hands. However, I believe tablet-like devices have the potential to be part of an evolution that preserves professional journalism, and that missing that could help doom us for good. But let’s face it. We don’t have a good record here. We, as an industry, botched the transition online. We treated the internet as, at best, the poor cousin of the print title, to be filled with the left-overs from the established product and, at worst, a mere marketing device. Then, when the invention of the single most efficient information distribution mechanism mankind has yet come up with transformed our industry and its economics, we descended into panic. The attack of the snails, as Kevin Anderson characterised it at The Frontline Club the other week, managed to take us by surprise. 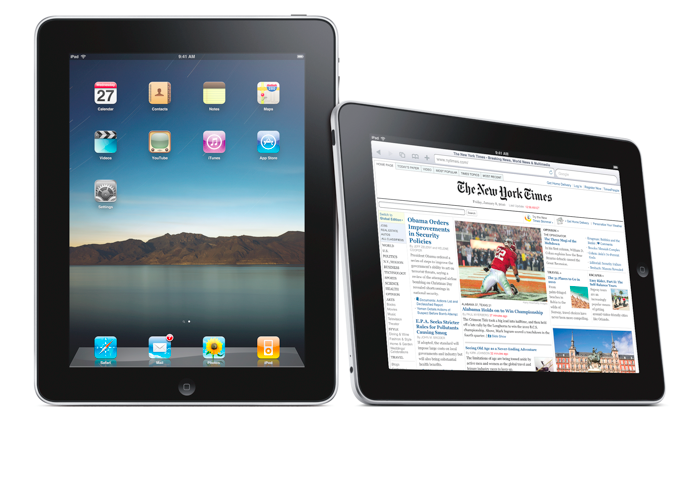 The iPad, and devices like it, offers us at least some opportunity to redeem ourselves. It offers a form factor that more directly equates to the traditional magazine reading experience, and holds the promise of allowing digital consumption of media in venues and occasions that laptops and desktops can’t really manage (Two days before the iPad launch, I was catching up on my feeds while horizontal on the sofa, and muttering to myself about a laptop’s basic unsuitability for that task). The strength of apps on the iPhone platform offers us another way to reach readers with an experience we have some control over (and the iBooks route is likely to prove unfulfilling for a number of reasons). Look at this form factor, its user interface and its potential uses within our target markets. Build something from the ground-up that is tailor-made for this device. Create something new, under our existing brands, for our existing markets, that feels natural and inherent to the device. They will add the sort of “interactive” extra elements that made CD-ROMs such a compelling experience back in the 90s (please note: that was sarcasm). Readers will try them out, find the experience unfulfilling, and return to just using the web via the browser on the device. As HTML5 takes off, the web experience will accelerate away from the print one, leaving all but the most innovative, up-market print titles on the steady spiral into oblivion. Of course, there’s a big “if” in this – and that “if” is iPad-like devices taking off and becoming a significant enough sector of the market to matter. However, this device looks, to me, to be the sort of computer that’s far more suited to the mass market – the maket that consumes more than it creates – than even a laptop. And if it hits that demographic – and Apple’s pricing looks very aggressive, for them – it will become an important platform for any publisher. Care to place a wager against that?